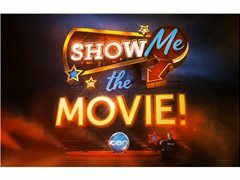 TV & Reality Jobs>Audiences Wanted>Audience Needed for Channel Ten's "Show Me the Movie"
FREE TV TICKETS - GUARANTEED ENTRANCE FOR STARNOW MEMBERS! We've teamed up with That's The Ticket to offer our StarNow members tickets for some fantastic TV shows! Show Me The Movie! is a movie trivia show that pits two teams and against each other in front of a studio audience. Led by our fearless host, Rove McManus, team captains and guest contestants - actors, comedians, and visiting international stars - all do battle in 'bent' parlour games, 'impro' performances and trivia rounds that are simply good fun. •	Please do not apply for tickets more than once in any one session; numerous requests for tickets in any one session will be disregarded. •	Applications are a registration of interest and not a guaranteed ticket. If you are successfully selected for tickets you will be sent an email invitation. •	Dress code is smart casual, evening wear, no shorts or thongs please. •	Tickets are free of charge. We have multiple filming dates available between January and March 2019. Each filming session will be approximately 2.5 hours long. Click Apply Now to complete your registration!